We've DUG UP (pun intended!) some great decor ideas from our designers. Try these scary ideas to add a bit of boo to your All Hallow's Eve. . . Using a funeral mache piece or plastic urn, fill it with Oasis or dried silk floral foam. Cover this with a draping of Spanish Moss. Create a tree by inserting dried branches from your own back yard, or with curley willow or birch branches. 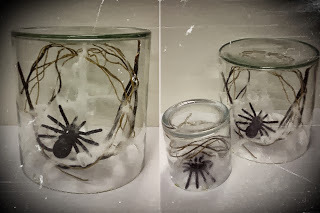 Spin a few strands of fake spiderwebs through the branches, and then decorate as you wish. 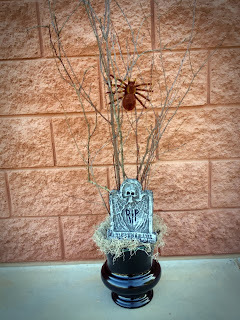 Perhaps hang plastic spiders from the web, or prop a faux tombstone in front of the tree, or hang with little Halloween ornaments. A great focal point for your buffet table! At the local crafts or Halloween store, find the most hideous and realistic bugs possible. 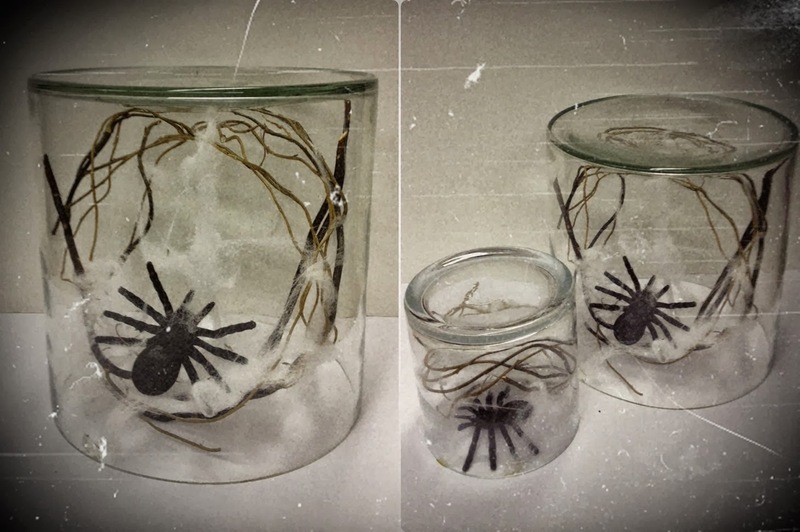 'Trap' them inside clear vases for a quick easy yet scary look. Using a few cylinder vases in varying sizes, wrap the inside of the vase loosely with curley willow. Spin faux spider web amongst the branches, then tuck one of the bugs or spiders up inside the web. Flip the vase upside down to 'trap' the bug. 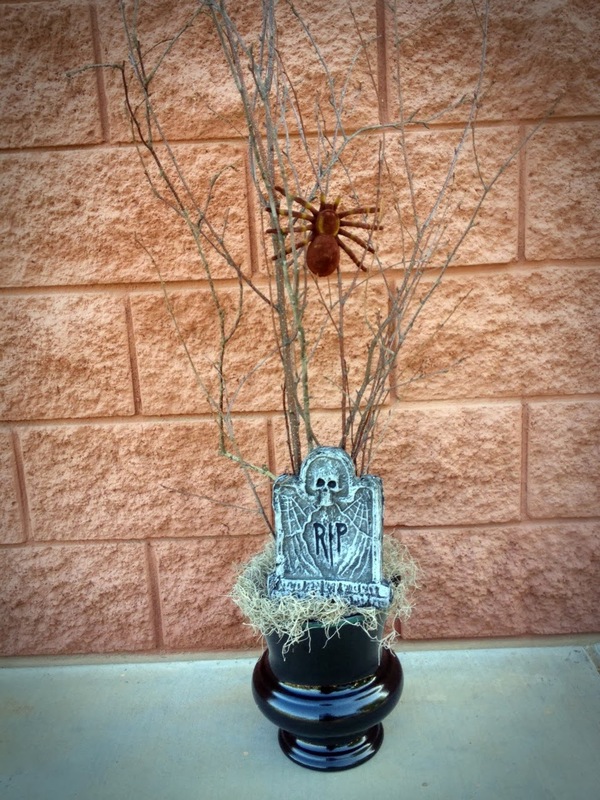 Whether you don't have the time or simply aren't in the mood for DIY projects, Cactus Flower can handle your Halloween decor for you! 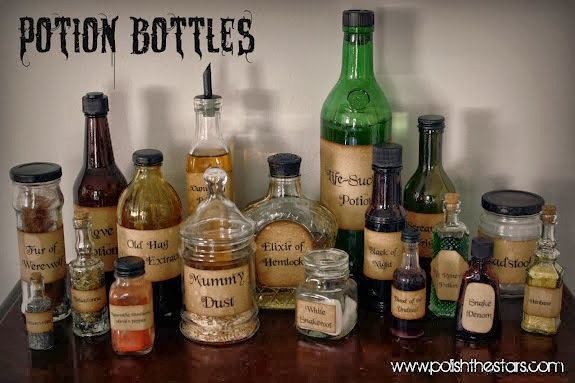 There is no limit to what we can create for your frightful fete, whether it incorporates pumpkins, spiders, bats, or witches. Just call us with your vision and we'll bring it to life. Muahahaha!